India’s largest and No.1 radio network, 92.7 BIG FM through its engaging shows and campaigns has always gone the extra mile in making its consumers aware about societal issues and concerns. On the occasion of World TB Day, 92.7 BIG FM and Operation Asha, an NGO dedicated to bringing tuberculosis treatment to the disadvantaged communities, came together to launch a TB awareness campaign in association with Social Access. The campaign aptly titled, #TBSeNaDariyo is aimed at breaking the myth that tuberculosis is a dreadful disease and can’t be cured. A dedicated jingle curated by Operation Asha for the initiative was also launched at the event. 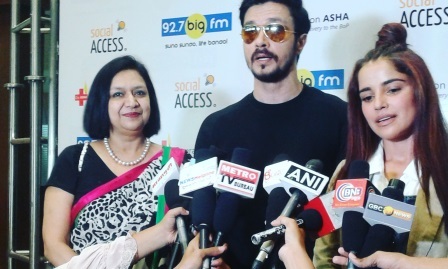 The campaign was launched in the presence of Dr. Shelly Batra, President, Operation Asha, RJ Rani and the star cast of upcoming film, Mirza Juliet. 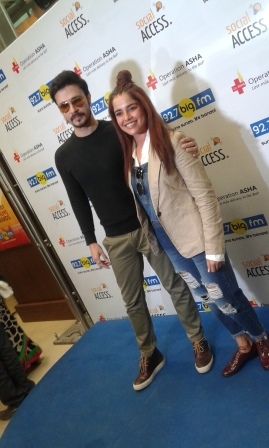 Actors Darshan Kumar and Piaa Bajpai lent their support to the campaign and addressed the audience by briefly speaking about the disease and various myths surrounding it. The actors were also seen appreciating the entities for taking up such a noble initiative. Operation Asha has added a light yet motivational element to the campaign by creating a dedicated jingle. The jingle titled ‘TB Se Na Dariyo’ in Hindi and ’Stay TB Free’ in English, sung by talented singer KC Loy was also launched at the event. Scripted and directed by screenwriter Jairaj Padmanabhan and music composed by duo Justin-Uday, the jingle perfectly brings out the essence of the initiative. The soft music of the jingle is combined with lyrics that would enlighten the listeners about the fact that tuberculosis can be easily fought by taking simple preventive measures. 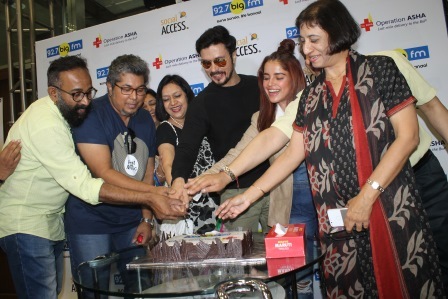 The campaign launch will be aired across 32 stations on 92.7 BIG FM’s show BIG Heroes, engaging the listeners and informing them about the curable disease by etching the jingle in their minds.